After trying out dozens of nursery chairs we bought the Nursery Works Cole Glider in taupe from Giggle, but we didn’t get the matching ottoman. 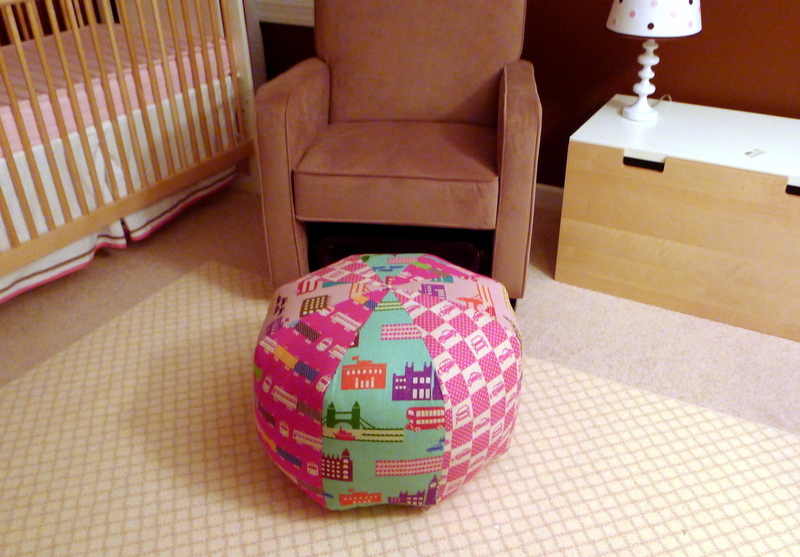 I wanted to make a “pouf,” as my niece Grace calls them, because I’m really digging the mix of modern design and homey touches we’ve been pulling together in H’s room. I thought this worked perfectly. And I love it in these fabrics. I bought this Echino-Nico line at the new year when Fat Quarter Shop was having a big sale. I had to have these British-inspired Japanese prints, which are a cotton/linen blend, but I had no idea what I would do with them. 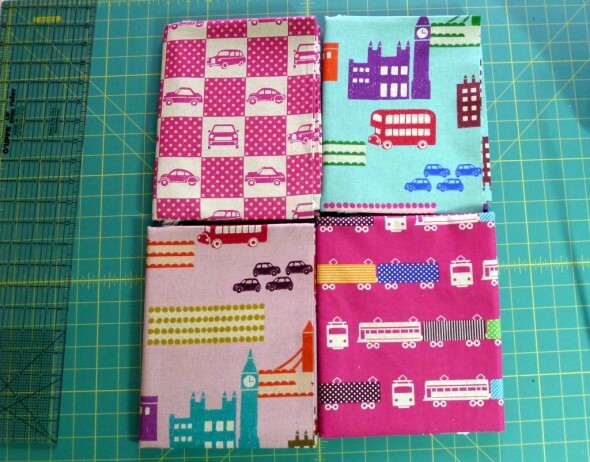 I just knew they were pink, British, transportation-themed (which Adam loves), and hugely marked down from their normally quite pricey per yard cost. 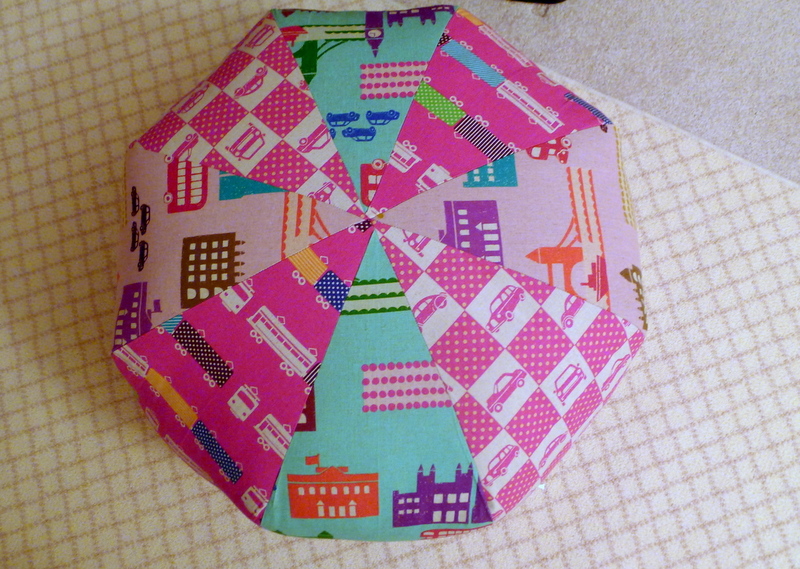 When I laid out a bunch of fabric options for this pouf, Adam jumped at this one. And I agree, I think it’s edgy-cool but still whimsical enough to work in the baby’s room. So that’s one more project finished in the baby’s room. It’s adorable! Can’t wait to see little H’s room.